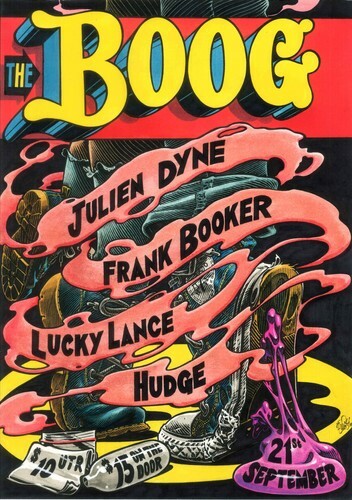 It’s boogie time again and Julien Dyne is returning to The Boog line up! If you missed his set last time then now’s your chance. Catch Julien spinning his favourite 80s boogie records alongside our resident Boog crew - Frank Booker, Lucky Lance and The Uptown Boogie's Hudge. The Boog is Neck of the Woods' very own in house club night - a happy, hedonistic throwback to the late 70s and early 80s and the music hiphop was birthed out of - disco, funk and soul but most of all, boogie. Every month we bring together some of the best DJs and selectors from all over the music scene to set the dance floor on fire with their favourite boogie tunes. Check our our full Safe & Sound policy at the Neck of the Woods' website.